SWAGA high quality lacrosse goal is made of 100% steel, with braided polyester net and lacing cord. Snap pieces provide for easy assembly with step-by-step instructions included. 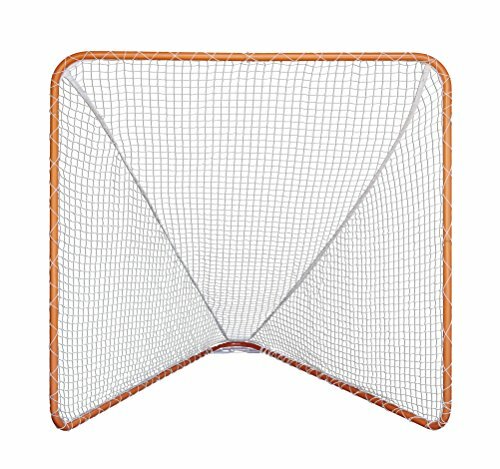 Extremely sturdy for shooting and goalie practice, the Swaga Lacrosse Goal is used by schools, pros, and backyard fun. The Swaga Lacrosse Goal can be used in conjunction with the Swaga Lacrosse Rebounder to help step up your game. Swaga . Stay Committed. If you have any questions about this product by SWAGA, contact us by completing and submitting the form below. If you are looking for a specif part number, please include it with your message.